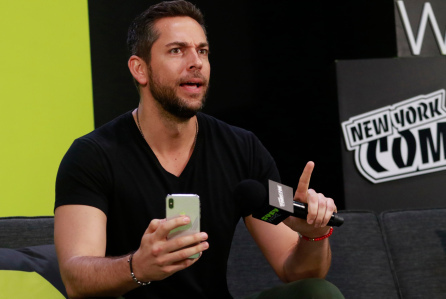 The first full day of New York Comic Con 2018 got underway today with loads and loads of panels, focusing on upcoming movies; new, streaming and returning TV shows; special salutes to young adult novels and so much more. Naturally, it’s impossible to focus on every single panel that took place today, but the following includes brief details, pictures and/or trailers for just some of the panels that were on the schedule; and some cool pictures of just some of the cosplayers. 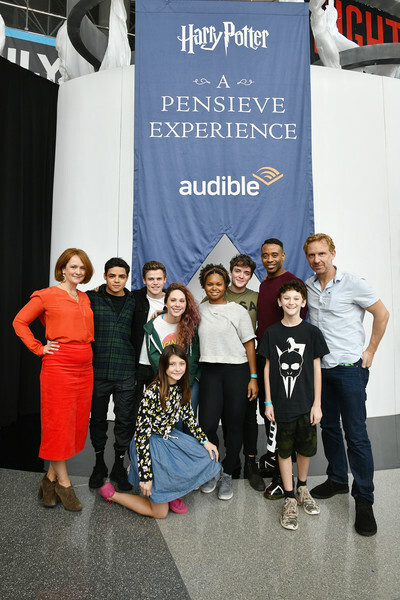 The panel included original cast members of the Broadway play – Jamie Parker (Harry Potter), Noma Dumezweni (Hermione Granger), Paul Thornley (Ron Weasley), Poppy Miller (Ginny Potter), Sam Clemmett (Albus Severus Potter), Alex Price (Draco Malfoy), and Anthony Boyle (Scorpius Malfoy) – who were attending the event for the very first time. Naturally, they were grilled on their Potter knowledge and shared their audition experiences. Filmmaker Robert Rodriquez and his son Racer Rodriguez (aka Racer Max) are working together on the VR world of The Limit, the first-person immersive cinema experience that will star actress Michelle Rodriguez (Lost and Fast & Furious franchise) and Norman Reedus (The Walking Dead) on the STXsurreal app by STX Entertainment. Michelle will play a genetically enhanced weapon that goes after the people who created her. The idea to go into the VR territory actually came from Racer when his dad asked him if he wanted to write a movie. It’s Robert’s belief that the format holds untapped potential beyond the world of video games. The father-son team turned a script around in only two weeks’ time. The audience also got a surprise during the panel: a behind-the-scenes video for the fourth season, which is currently in production. The Freeform mermaid drama Siren will return for its second season on January 24 and the attendees of the show’s panel got to not only see a trailer for the upcoming season but also see the cast – Eline Powell (Ryn), Alex Roe (Ben), and Fola Evans-Akingbola (Maddie) and executive producers Emily Whitesell and Eric Wald – in person. The cast opened up about filming the series, hinting what viewers should expect in January (hint: MORE mermaids!). They also shared their takes on the show’s central love triangle and its fine-tuned feminist message. The film, coming out on April 5, 2019, will center on foster child Billy Batson, a teenager able to transform into the titular adult superhero Shazam. Batson derives his heroic attributes by saying, “Shazam,” an acronym for the ancient-world gods and historical figures Solomon, Hercules, Atlas, Zeus, Achilles and Mercury. The new You Tube series Origin will debut on November 14 and includes among its cast Harry Potter alums Tom Felton and Natalia Tena. The 10-episode series follows a group of outsiders who find themselves abandoned on a ship bound for a distant land, who must work together for survival. But they quickly realize that one of them is far from who they claim to be.